Pick up from your Hotel at 8.00 am drive to the view point of the Rift Valley, descend the escarpment and drive via Narok town then to Masai Mara for lunch at the camp. After lunch proceed for afternoon game drive in Masaai Mara game reserve famous for its black manned lion and yearly migrations of wildebeests from Serengeti in Tanzania to Masai Mara in Kenya, dinner and overnight at the mara sidai Camp. After early morning breakfast, full day spent game viewing and exploring this spectacular park with picnic lunch served in the park at the Mara river border of Kenya and Tanzania, return to mara sidai camp for dinner and overnight. Day 3: Masaai Mara/Lake Nakuru. After breakfast leave maasai mara game reserve with the last game drive as you drive to Nakuru with lunch enroute, arriving in Nakuru late in the afternoon for dinner and overnight at a golden palace hotel or similar hotel. After breakfast, proceed for an extensive morning game drive in Lake Nakuru National Park to see the many animals that inhabit this unique park. Lake Nakuru is known for it’s millions of flamingoes and other water birds. Leave lake Nakuru National Park to proceed to Amboseli National Park with lunch enroute for dinner and overnight at a kimana camp in Amboseli. After breakfast, full day spent in Amboseli National Park with an optional tour to maasai village to experience their traditional way of life and dances, Meals and night at the kimana camp. After breakfast leave campsite for the last game drive in the park as you leave the Amboseli park for Nairobi with Picnic lunch served enroute arriving in Nairobi late afternoon with sweet memories. WHAT’S INCLUDED ON THE PRICE. Transport based on our customized seven-seater safari Vehicle with specially modified suspension, full-length photographic roof hatches and seats designed with seat belt and all clients are guaranteed window seats. Airport picks up on arrival in Nairobi. Use of our Professional Driver Guide. The optional visit to tribal villages e.g. 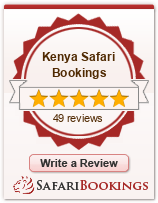 visit to a Maasai village $ 20 PP, Ballon safari in the Mara $ 400 pp-bookable before departure. 4 Days 3 Nights: Taste of Tanzania Safaris! :Ngororongoro,Lake Manyara & Tarangire.